If at a congress T-shirts and gadgets with logos of the conference are selling well, then the image is well-built. So once a colleague advised me. At the same time I am surprised by offer of various goods sold at and next to events. If we start with the identity of the event, we usually try to put it into practice through branding. I’m a big fan of thorough branding, as with this a lot of costs in subsequent phases of communication of projects are eliminated. Upgrading of identity is the IMAGE of the event, as the interpretation of the brand. Also in the meetings industry a positive image defines an event and is key from point of view of participants. Image is their first contact with the event, only in the second phase comes to the fore the programme, the content of the event. Image is directly related to the reputation the event has built through its history. The legendary David Ogilvy says that the image means personality and just like people, products and events have their own personalities that with marketing strategies can be built or destroyed. – Branding, as a tool for building awareness of the event by name. Various images and symbols are a kind of a fingerprint of the desired identity of the event. – Image as a part of creating views and opinions of the event as expressed by individuals about the event. It is a part of the identity, as understood and decoded by the participants. In my experience the formula for success is branding + image = reputation of the event. Interestingly, participants always take all three of them exclusively in the package. If you concentrate only on one of the elements, then usually at the event it goes wrong. Most often it happens that you do not achieve the goal of number of participants, or you are not succeeding in getting sponsors. To this it is necessary to add undisputed programme, implementation and logistical quality of the event which is not discussed and is considered for granted. And the sense for your congress community, like at the best concerts where we say that the audience becomes a part of the rock spectacle. If all conditions are fulfilled, then star events happen. Undoubtedly, the construction of image is an essential part of creating added value of the event. As such, in some ROI methodologies it is also measured (Elling Hamso). Crucial is also building a positive image, which is increasing the psychological value of the event, together with the right of higher or lower prices. Similarly as in the music industry, congress stars are generated when they stand out from mediocrity. A key role here has always been played by the media, which interprets the event to the public. A typical example is TEDx which was adopted by the media and has grown on a wave of media coverage. In rock bands holder of the image is usually the singer and media loves especially charismatic and eccentric individuals. Even from this principle organisers of events can learn a little something. If we do not have a charismatic personality in the project, we need to invest in it. Each event requires their mandatory Elvis, who by personal example represents a business card of the project. Patience with image is God’s grease. Personally I believe in a five-year plan. The image can be approximately repaired in some five years. Limitless financial injections or any kind of push strategies here do not help. It is built step by step. Do not believe spin doctors, which offer you instant Apps and other solutions. The image is composed of small gestures in relationship with your participants. Technology can help, but it is certainly not the main tool and not the main lever. Parallels can also be found in the rock sense of spontaneity, freedom and honesty that help shorten the path. 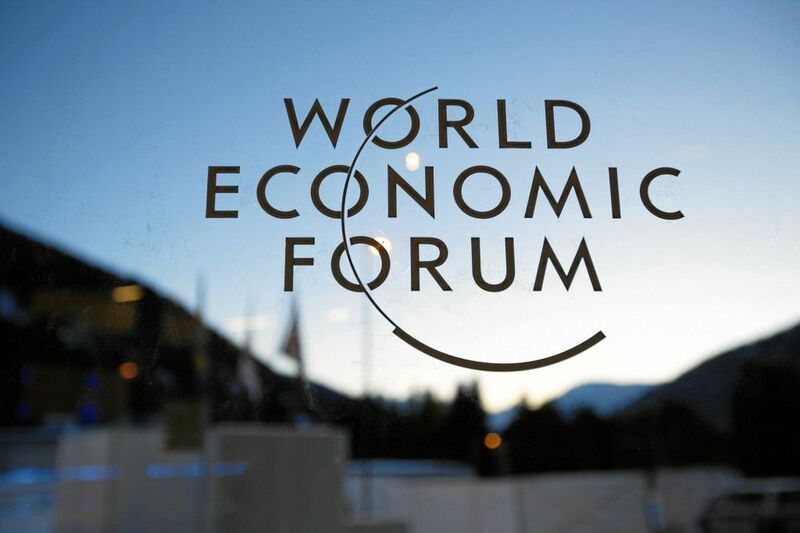 At the trendy Swiss ski resort Davos, the forum takes place every year and is usually attended by more than 2.500 political and business leaders from around the world. Every year the forum is taking place in the spirit of one of the key development issues of the world. A better example of the formula branding + image = reputation is inconceivable. Moreover the forum has grown from a small event into an institution that brings together at one place the world’s elite of high politics, business and science. In the shadow of the parade of politicians who are solving the crisis more or less successfully, the now usual anti-globalist protests are happening which are in their own way now consolidating the power of the event.